Everyone knows Stockholm is full of cool things to do: the archipelago, the scenic Old Town, the Baroque-style Royal Palace — even the subway stations could keep you entertained for a very long visit. But the rest of Sweden has a lot to offer, as well, even if it doesn’t get nearly as much attention as the capital. From hip second cities to interesting lodges to gorgeous hiking trails, here are the best places to visit outside Stockholm. 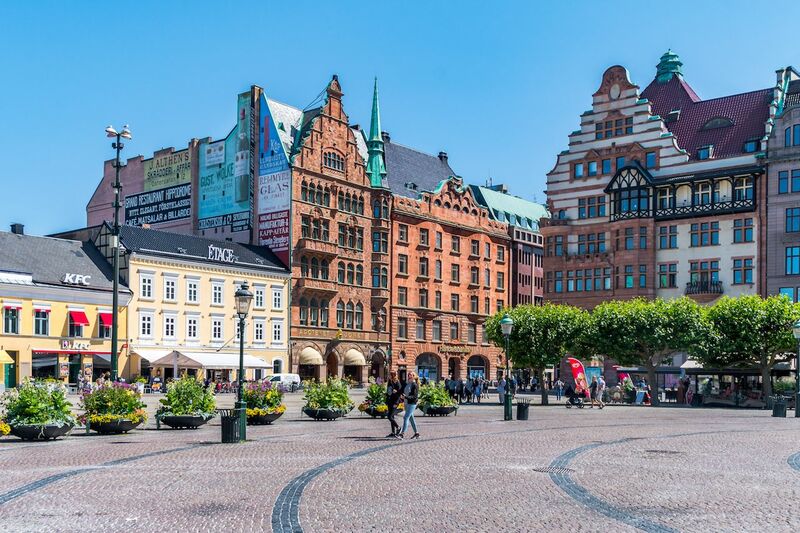 All of the friendly talkative Swedes eventually find themselves migrating to the bustling metropolis of Gothenburg, Sweden’s second-largest city and home to the headquarters of Volvo — located on a tiny island within the city. Gothenburg was originally settled by the Dutch, and it shows. 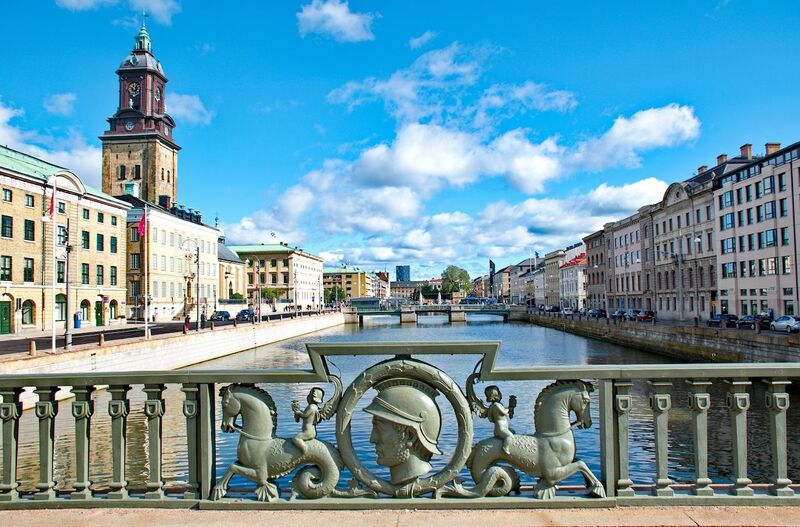 Miles of beautiful canals wind their way through the city streets, and the once-gritty and rundown industrial areas are giving way to sleek and modern Scandinavian design, funky art galleries, and hole-in-the-wall restaurants with top-notch cuisine. Enjoy some local culture at Studio HPKSM, a restaurant/underground performance space where you can eat ox tongue ragu or braised rabbit with root vegetables, book a brick-lined recording studio for your band, or listen to a poetry reading with a delicious mixed drink. Wander the streets in search of the colorful wall murals of ArtMadeThis or see an indie movie at Hagabion, an activist-run cinema with a bustling restaurant upstairs and the funkadelic disco-inspired Bar Kino downstairs. If you’d like to join the Swedes in their penchant for coffee, visit Da Matteo, a Gothenburg institution that roasts beans on-site and ships them worldwide. Enjoy your morning fika, or coffee snack, of a kardamomrullar pastry over a strong espresso and you’ll be ready to explore the coastal archipelago, tiny islands strung like pearls along Sweden’s Western coast. Rent a bike and go from ferry to ferry. The Sami (or Sapmi) are Sweden’s indigenous people and live predominantly in what used to be called Lappland. In Sweden’s far north, closer to Finland than to Stockholm, is Jokkmokk, frequently called one of the most interesting cultural destinations in Sweden. If you’re feeling adventurous, you can drive there; the trip is only 12 hours from Stockholm and along a well-kept highway. The scenery is stunning, but reindeer may dart in front of your car. If you don’t have the time to spend, you can fly into Luleå Airport and catch a bus or taxi to Jokkmokk. Stay in the tiny yet funky Hotell Vuollerim Gästgiveriet where no two rooms are alike, and each one is named poetically after local landmarks. If you prefer not to talk to anyone, visit peaceful Stákkonjorga Mountain Lodge, which is only accessible by car or snowmobile, depending on the time of year. You will absolutely see the northern lights in winter. Learn about the history of the Sami at the Ajtte Museum, or visit a 6,000-year-old reconstructed Arctic village if you’re more hands-on. In the summer, enjoy the gorges, mountains, and numerous hiking trails; you can go at any time of day since it never really gets dark close to Midsummer. In the winter, you can go on a dog sledding trip, learn to build your own igloo (with supplies pulled by reindeer), or participate in a traditional Sami ceremony. My home town for a while, Malmö, is pretty cool. Sweden’s third-largest city is its biggest immigrant hub, and the official food of the city is falafel rolls. Only 45 minutes by fast train from Copenhagen, Malmö was recently made famous by the gritty noir drama Broen (The Bridge). The titular Öresund Bridge is nearly 10 miles long and a spectacular ride across the open ocean, with graceful wind farms in the distance. You can see it from most of the beaches, particularly Ribersborg, where the Kallbadhus allows visitors to leap from a dock into the ocean for about $7 (60 Swedish krona). Enjoy wandering through the centuries-old Gamla Stan (Old Town) or enjoy the cozy feel of Lilla Torg, which has the best shops; my favorite is Gudrun Sjödén. Another neighborhood, Stortorget, has the sweeping majesty of the 16th-century town hall, and you can rock a singalong Sound of Music at the Spegeln afterwards. Visit the sprawling complex of museums at Malmö Slott — multiple rambling floors cover everything from fine art and antique wooden furniture to a robust aquarium and regular visiting exhibits. Afterwards, walk across the street to the Teknikens och Sjöfartens hus, which is included in your museum entrance fee, and explore the rooms of trains, airplanes, and astronomical history, plus a walk through a genuine decommissioned submarine. If you’re more of a walker, hit up Pildammsparken and circle the lake until you find the ice cream place. Head to Boulebar for brunch and indoor boule, an addictive bocce-type game. Don’t leave town without a visit to Cafe Jesusbaren in the happening neighborhood of Möllevången. 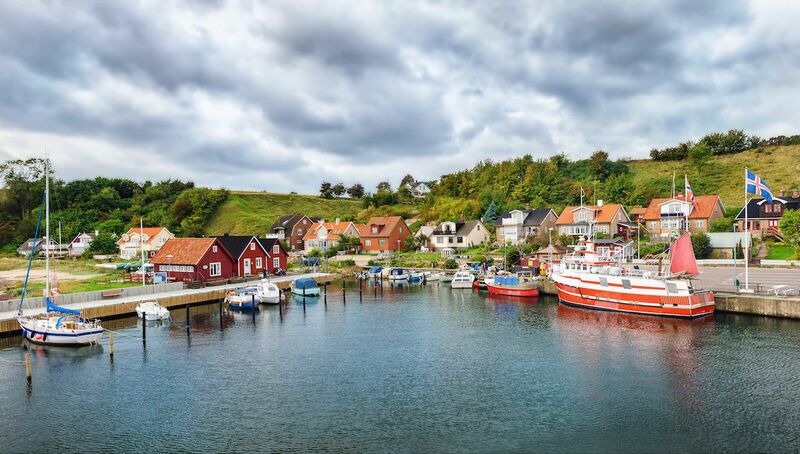 A short boat ride from Landskrona, a town 30 minutes north of Malmö, is the island of Ven. It’s so small that you can bike around in about an hour — assuming you can get your bike up the steep hill from the dock. The ubiquitous yellow bikes are rentable the moment you step off your boat, and you can use them to visit the Tycho Brahe Museum, with a recreation of the famous astronomer’s underground workshop and observatory. After the sweaty uphill ride, reward yourself with some freshly made local ice cream at Hvens Glassfabrik or cut right to the hard stuff at Backafallsbyn, the local whiskey manufacturer. Enjoy a leisurely ride along the coastal road; depending on the time of year, Ven’s fields of canola and wheat blossom into miles of yellow flowers. That plus the cliffside views are quite stunning. Make sure you book your boat tickets round-trip in advance on the website. It’s quite easy to do and then you can avoid having to wait several hours for the next sailing. 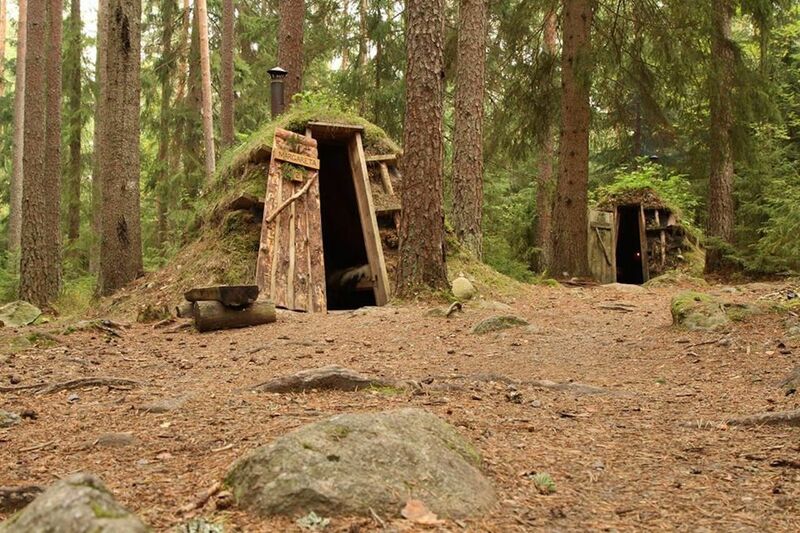 Proudly calling itself “Sweden’s most primitive hotel,” Kolarbyn boasts small wood and sod huts with no showers in the Skinnskatteberg Forest about two hours from Stockholm. Previously used as sleeping spots for forest rangers, the tiny houses are covered with vegetation — you can go mushroom picking right on the roof. Inside, sheepskin blankets and a stone fireplace provide the warmth. You can canoe to the floating sauna and enjoy some steam or cook your dinner over an open fire. Although there’s no kitchen, basic pots and cutlery are provided as are some staple foodstuffs like pasta and rice. Dress in layers, learn to swing an axe, and enjoy your trip to the absolute wilderness. Uppsala is mostly known as a university town, and occasionally something circulates on the internet about the “Flogsta Scream,” the nightly ritual of students in the academic neighborhood opening their windows and screaming their heart out into the night. 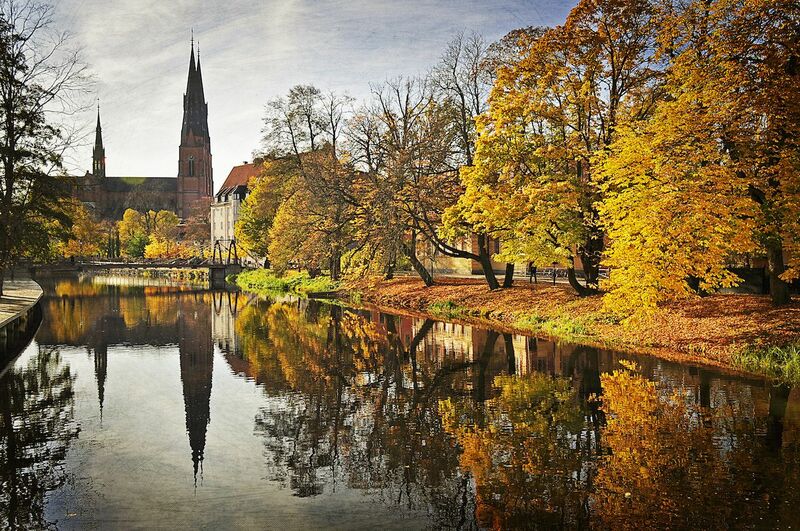 If you need to blow off a little steam, Uppsala might be the exact destination you need. Aside from screaming, you can also enjoy any one of its countless cozy cafes and culinary hotspots. At Jay Fu’s, the fusion menu boasts mac and cheese with sesame bok choy and lobster foam; alternatively, there’s a faux hot dog made of scallops, served with ginger ketchup. If that’s too wacky, hang around Kaffeerummet Storken where reassuring comfort foods like västerbottenpaj (cheese torte) will warm you over a mug of Champagne tea. Check out the nightlife at Flustret, a rambling mansion that is Uppsala’s oldest nightclub and home to a number of events, including live bands and DJs. If you’re more of an early bird than a night owl, gather your binoculars and head to the Linnaeus Museum and gardens for an in-depth look at the father of modern taxonomy. Learn about the history of naming birds and plants, wander the paths of the first botanical garden in Sweden, and then have a nice fika at one of the many cafes close by. Enjoy ancient history by visiting the Kvarnbofalltet, a 2,000-year-old burial site with standing stones covered with runes. Get in touch with your Viking ancestry or walk through the nearby ravine and hunt for bats. If you’ve never been swayed to sleep by the gently rocking branches of a treehouse room, you haven’t lived… so prepare to live at Treehotel. The individually designed and architecturally stunning treehouses range from a bird’s-nest-type structure made of branches to a metallic orb called the UFO. 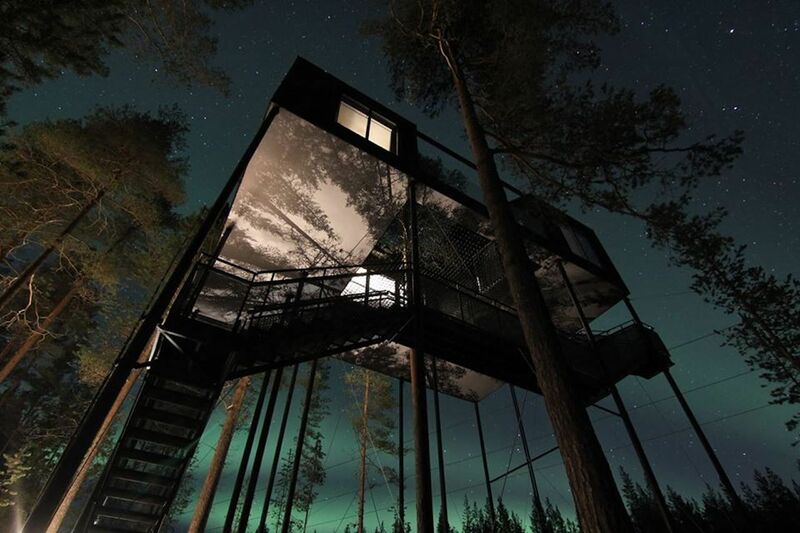 Each one is unique and has a fantastic view of the woods — and the northern lights in the winter. Guests can also stay in the main house where communal meals are served. There is, of course, a forest sauna, as well as some more bizarre activities like skijoring, or horse-pulled skiing, and “tree dining,” during which you’re served a three-course meal on a 10-foot platform. Rooms for this unique adventure start around about $485 for a double stay, depending on the season. 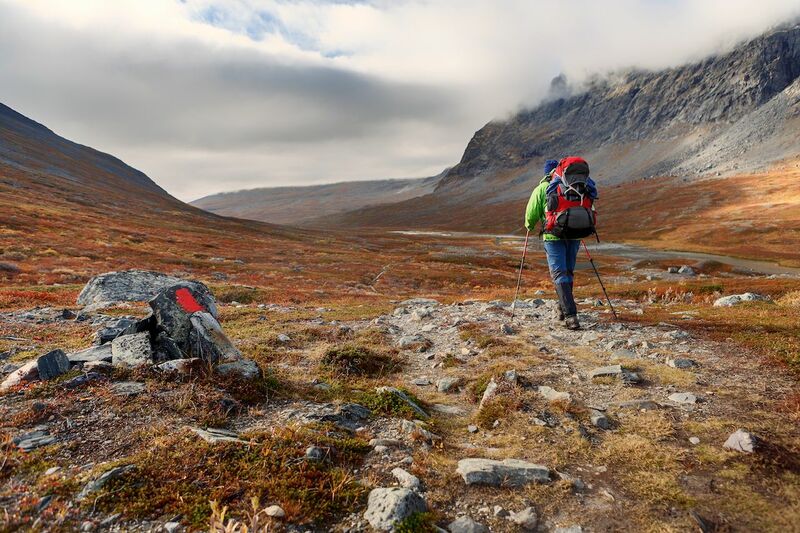 If your ideal vacation involves backcountry camping and a ton of walking, the Kungsleden is for you. One of the world’s most famous distance hiking trails, it’s 250 miles long and winds from northern Sweden through birch tree forests, past snow-capped mountains, and through tiny villages. The trail boasts 16 cottages that are about 12 miles apart. You can stay there and buy food from them, so you could theoretically do the whole trip carrying only a daypack. 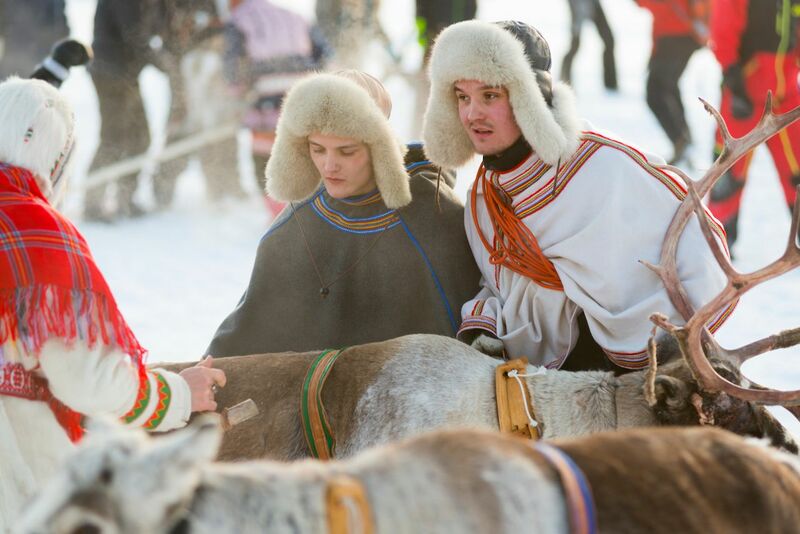 Sami reindeer husbandry happens all along the trail, and visitors must be considerate of this traditional activity. Check out the STF hiking guide for more information or to best plan your trip. The trail is open year-round, so don’t let snowy days be a deterrent! Northern Sweden is also gorgeous when it’s chilly.